Holocaust Apologetics, by Barry Levinson. would have been deeds, not evil deeds." Some Jews doubt God’s existence; others vehemently deny it. Much of the Jewish objection to belief in God stems from a specific occurrence of evil, namely the Holocaust, the systematic murder of six million Jews in Nazi-occupied Europe. There is a more basic problem, however. Before anyone can begin to discuss the question, “How could a good God rightfully allow evil?” he or she must first explore the question, “How can a human rightfully define evil?” This second, more basic question involves a task that is impossible without God. Respected Holocaust historian Elie Wiesel likely faced these same issues as he struggled to resolve his own dilemma concerning whether to believe in God as a post-Holocaust Jew. Examining these questions in light of his experience may help us present evidence for the existence of God to other Jews who are wrestling with a similar existential conflict. Whenever nonbelievers raise the problem of evil in evangelistic conversations, they effectively erect a wall or barrier against the gospel. When they focus on the problem of evil in the hideous form of the Holocaust, as many Jews do, they reinforce that wall considerably. When they react to the Holocaust with staunch religious atheism or existential struggle, they fortify that wall even further against the gospel, making it a formidable evangelistic obstacle for the Christians who are trying to reach them. The common spiritual reaction of existential struggle displays itself most clearly in the life and writings of Eliezer (Elie) Wiesel, the great historian of the Holocaust. Like many Jews who share this plight, he is torn between his denial of God’s existence and his own sense of God’s existence. Understanding Wiesel’s struggle can nurture our compassion toward Jews who experience similar angst. Studying the reasons for believing in God despite such evil may strengthen our ability to help erode the wall in their hearts. As we gently dismantle this twice-buttressed wall of resistance, we will be able to present the gospel lovingly and effectively to the Jewish people. It is worth noting Peter’s admonition that we must make our “defense” with “gentleness and reverence.” This is especially true with Jewish atheists, because there are two kinds of religious atheism that the convulsions of the Shoah (Holocaust) have induced, and both need to be handled with respect. The first kind of Holocaust-induced atheism is an emotional atheism that arises out of the depths of a hurting heart. It does not and cannot respond to logical reasoning, especially if it began too close in time to the traumatizing event.8 This kind of atheist needs pastoral love, patience, and prayer, as well as a listening ear and a sensitive heart. The second kind of Holocaust-induced atheism is a belligerent atheism that arises out of the foolishness of an arrogant heart. “The fool [Heb. nabal] has said in his heart, ‘There is no God Psalms 10:4; 14:1; 53:1); in a senseless and rebellious posture (i.e., nabal), he or she refuses to submit to the truth (Romans 1:18-32). This kind of atheist needs a loving, logical, and firm encounter with the truth of the Word of God and the convicting ministry of the Holy Spirit (cf. John 16:7–11; 2 Timothy 2:24–26; 3:16–17; 4:1–5; Jude 3, 17–23; etc.). In developing a Holocaust apologetic, we must begin with a rhetorical strategy. For example, if I were an attorney attempting to win a case, I would do everything I could to get someone from the opposing side to testify on behalf of my client. In other words, I would begin with what my audience already accepts, then connect the information back to what I want (here, what God wants) them to understand. This was the rhetorical strategy of the apostle Peter on the day of Pentecost, when, with a holy boldness, he lovingly reminded his hostile audience about God’s promise of a latter-day outpouring of His Spirit through the Jewish prophet Joel (Acts 2:14–21). In a sense, this apologetic approach could be termed “pre-evangelism” (see, e.g., Romans 9:1–3; 10:1), because it may earn us the right to be heard on further matters (e.g., messianic prophesy, Jesus’ death and resurrection, justification by faith, etc.). We can begin, then, with the case of esteemed Holocaust historian Elie Wiesel, himself a Jewish survivor, whom Jews already accept as perhaps the most well-known and respected voice of the Shoah. Once we connect his dilemma to their own, we can point them to his apparent resolution of the dilemma and help them understand the likely reasons for that resolution. Elie Wiesel was born in 1928 to a religious family in the village of Sighet, Transylvania. He received a traditional Talmudic education, studying with the Chasidic rabbis in the village. In 1944, the Nazis deported all of Sighet’s Jewish inhabitants to various concentration camps. Wiesel’s mother, father, younger sister, and other relatives were murdered. His two other sisters survived. [The head of the camp] had a young boy under him…a child with a refined and beautiful face. . . . One day when we came back from work, we saw three gallows rearing up in the assembly place. . . . SS all around us, machine guns trained: the traditional ceremony. Three victims in chains—and one of them, the little servant, the sad-eyed angel. . . .
All eyes were on the child. He was lividly pale, almost calm, biting his lips. . . . The three victims mounted together onto the chairs. The three necks were placed at the same moment within the nooses. . . . “Where is God? Where is He?” someone behind me asked. At a sign from the head of the camp, the three chairs tipped over. Total silence throughout the camp. On the horizon, the sun was setting. . . . We were weeping. . . . Then the march past began. The two adults were no longer alive. Their tongues hung swollen, blue-tinged. But the third rope was still moving; being so light, the child was still alive. . . . For more than half an hour he stayed there, struggling between life and death, dying in slow agony before our eyes. And we had to look him full in the face. He was still alive when I passed in front of him. His tongue was still red, his eyes not yet glazed. Many believe these lines to be some of the most poignant descriptions ever written about the Holocaust. The immediate impact of these events on the young Wiesel was emotional atheism. He believed that his God died. Many Jews believe that evil won out and that God died in the Holocaust. That settles the quandary for them, but it didn’t settle it for Wiesel. His bitter experiences during those horrific years of the Holocaust did not deprive him of belief in God once-and-for-all. Wiesel’s progression of thought on this issue may provide valuable insight for those Jews who suffer the same kinds of existential confusion as he did over their own religious atheism. It appears that further reflection and the passage of time forced Wiesel to adjust some of his perspectives on the Holocaust. He recorded this shift in his lesser-known and more-reflective pieces. We shall note only three examples from these writings, although there are several that bear similar testimony. Finally, Wiesel testified to his own ongoing struggle with God when he declared, “To be a Jew is to have all the reasons in the world not to have faith . . . in God, but to go on telling the tale . . . and [having your] own silent . . . quarrels with God.”12 The emotional Wiesel refuses to embrace the painful reality of the God of his tradition; the rational Wiesel, like Jacob of old, grapples with God as a living Being, seeking blessing for himself and his people. Why would Wiesel withstand all of this existential tension? What would drive someone like Wiesel to maintain his theism when religious atheism seems to be more viable? It is important to have your Jewish loved ones consider why he does not yield, as perhaps they do, to a hard-core religious atheism. There are several possible reasons; the two discussed in the remainder of this article are based on the implications of atheism. It is likely that Wiesel ultimately refused to abandon God altogether because he was able to envision the logical consequences of his Holocaust-induced religious atheism. To begin our case for God’s existence during and since the Holocaust, we must lovingly nudge our Jewish friends toward those same logical conclusions. In other words, we must ask, What would be some of the inevitable consequences of persisting in the belief that there is no God or that God really did die in the Holocaust? A rational exploration of these consequences may cause our Jewish friends to reevaluate their atheism. Laws do not come from nowhere. They must come from lawmakers or lawgivers. If there is no God, laws must come from humans; that is, they must be derived from the best and worst proposals of humankind. To embrace atheism is to embrace a world without any transcendent Lawgiver. So it was in the dark days of the Judges, when there was no king in Israel; everyone did what was right in his own eyes (Judges 17:6; 21:25). Evidence of this in our own day is clearly manifest: public opinion reigns supreme. Gallup and his polls have replaced Moses and his laws! In this kind of relativistic Holocaust kingdom, who could successfully argue that six million Jews were any better or any worse than six million ants crawling on the ground? The Nuremberg Laws would seem to beg this question! Without any higher or transcendent laws from a transcendent Lawgiver, the Nazis would have had every right to pass any kind of laws they deemed necessary against non-Aryans (so-called vermin), whether dictated by Adolph Hitler or approved by the majority of Germans, including the German State Church. Without God, they would have been beyond any kind of moral accountability. It would have been their perfect right, privilege, and responsibility to determine for themselves who and what had meaning, purpose, and value;13 indeed, a world without a transcendent Lawgiver is a world that is devoid of any true meaning, purpose, and value. In such a Holocaust kingdom, it makes perfectly good sense to destroy the undesirable (e.g., the Jews, the Gypsies, the political dissidents, the homosexuals, etc.) before they destroy the desirable (i.e., the Aryans). Auschwitz was the logical outcome of such a humanistic, relativistic worldview.14 Without the moral restraint of a transcendent set of laws from a transcendent moral Lawgiver, anarchy inevitably will result (see, e.g., Romans 1:18-32; 1 Timothy 1:8-11). This transcendent moral law is nothing less than the universal law of God “written on human hearts” (Romans 2:14-16; cf. Acts 17:22-31).19 Western society still finds that law, which accords with a biblical worldview, entirely and conveniently pertinent to matters such as modern war tribunals, despite the fact that it has abandoned that worldview. It is virtually impossible, then, even if we attempt to deny the divine Lawgiver Himself, to deny that His laws are written on our hearts. We expect, even demand, that others live by them every day, even if we don’t live by them on a daily basis.20 Wiesel appears to understand that it is important to remain committed to the divine Judge and Lawgiver, as Abraham did when he proclaimed, Shall not the Judge of all the earth deal justly? (Gen. 18:25). Perhaps Wiesel believes this because he knows the serious consequences of atheism, the second of which follows. Like laws, morals and ethics do not come from nowhere; they come from moral and ethical determiners. Any set of morals that is not transcendently based, that is, determined from outside the human frame of reference, of necessity must be determined from within the human context. This means that any moral or ethical system derived from such a godless world must be relative to its very core. We, accordingly, could not talk about “morals” (i.e., prescriptive norms: what people ought to do), but only about “mores” (descriptive norms: what people actually do). Johnson also observes, in a frontal way, that if we cut “the umbilical cord [from] God, our source of ethical vitality would be gone. . . . we humans are all Jekyll and Hyde creatures, and the monster within each of us is always striving to take over.”27 In other words, morality without God is Macbeth’s “tale told by an idiot, full of sound and fury, signifying nothing”! In states of relativism, it does not matter who the moral ethicist is or what his or her particular view is.28 All of these systems leave one in the moral abyss determined by those in power at the time. Whether it is Jeremy Bentham (1748-1832) and his relative utilitarianism (i.e., one should act so as to produce the greatest good for the greatest number in the end), or Joseph Fletcher (1905-1991) and his relative situationism (i.e., everything is relative to the situation and the only thing required in any moment is love), or any other approach leaving the divine perspective out of the formula, we are left in the hands of those who have enough power to determine for us what is the moral truth at any given moment. 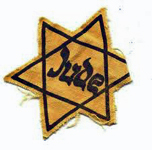 Hitler and the Nazis, as well as most of the rest of Germany’s population, certainly were convinced that their solution to “the Jewish question” was the greatest good for the greatest number in the long run (i.e., Bentham) and that they were carrying out the most loving acts of ethnic cleansing in that particular situation (i.e., Fletcher). When our Jewish friend or colleague protests in a vehement moral outrage that there has been no God since the Holocaust, it is imperative that we lovingly remind him or her that such a moral outrage, if it is to be valid, must be grounded in the very existence of God, His transcendent law, and His absolute morality. Otherwise, it is ultimately groundless emotional ranting. We must help our Jewish friend recognize, along with Elie Wiesel, that the consequences of denying God’s existence are far worse than accepting it, even after the Holocaust. In fact, if there were no God, the Nazis could not have been held accountable for their evil deeds, for there only would have been deeds, not evil deeds. There can be public opinions and private viewpoints, but without God, there can be no legal or moral accountability for one’s actions. God has commissioned us to help our Jewish friends and colleagues recognize this reality. And just maybe, along with this recognition, some of them might even be open to discussing the messiahship of Jesus. The aim of apologetics, like everything else, ultimately is to glorify God.29 As the Westminster Shorter Catechism rightly affirms: “Man’s chief end is to glorify God and enjoy Him forever.” God is committed to our task: When we fully depend on Him and prayerfully seek to dismantle the wall that is buttressed by the evil of the Holocaust and the dissonance of doubt, God will work in and through us with the Jewish people - to His glory. After all is said and done, including our allowance for the place of divine mystery (Deuteronomy 29:29), Isaiah’s confession concerning the Jewish people is still true: In all their affliction He was afflicted, and the angel of His presence saved them; in His love and in His mercy He redeemed them, and He lifted them and carried them all the days of old (Isaiah 63:9). 1. Richard L. Rubenstein, After Auschwitz: Radical Theology and Contemporary Judaism (Indianapolis: The Bobbs-Merrill Company, 1966), 151–53. 2. Richard L. Rubenstein, “Auschwitz and Covenant Theology,” The Christian Century 86 (May 21, 1969): 718. 3. Irving Greenberg, “Cloud of Smoke, Pillar of Fire: Judaism, Christianity, and Modernity after the Holocaust,” in Auschwitz: Beginning of a New Era? Reflections on the Holocaust, ed. Eva Fleischner (New York: KTAV Publishing House, 1977), 41–42. 4. Seymour Cain, “The Questions and the Answers after Auschwitz,” Judaism 20 (Summer 1971): 263. 5. Jakob Jocz, The Jewish People and Jesus Christ after Auschwitz: A Study in the Controversy Between Church and Synagogue (Grand Rapids: Baker Book House, 1981), 23, 34. 6. Azriel Eisenberg, ed., Witness to the Holocaust (New York: The Pilgrim Press, 1981), 628. 7. All Bible quotations are from the New American Standard Version. 8. See Robert M. Hicks, Trauma: The Pain That Stays (Grand Rapids: Fleming H. Revell, 1993). See also Orthodox Jewish apologists Gershon Robinson and Mordechai Steinman, The Obvious Proof: A Presentation of the Classic Proof of Universal Design (New York: CIS Publishers, 1993). 9. Elie Wiesel, Night, trans. Stella Rodway (New York: Avon Books, 1960), 44, 74–76. 10. Elie Wiesel, quoted in Emil Fackenheim, Richard H. Popkin, George Steiner, and Elie Wiesel, “Jewish Values in the Post-Holocaust Future: A Symposium,” Judaism 16 (Summer 1967): 298–99. 11. Elie Wiesel, quoted in Alice L. Eckardt, “Rebel against God,” Face to Face 6 (Spring 1979): 18. 12. Elie Wiesel, “Talking and Writing and Keeping Silent,” in The German Church Struggle and the Holocaust, ed. Franklin H. Littell and Hubert G. Locke (Detroit: Wayne State University Press, 1974), 277. 13. See Norman L. Geisler and Frank S. Turek III, Legislating Morality: Is It Wise? Is It Legal? Is It Possible? (Minneapolis: Bethany House, 1998). See also Norman L. Geisler, Christian Ethics: Options and Issues (Grand Rapids: Baker Book House, 1989). 14. Moral philosophers explain that every evil power in history has employed two sets of tactics to perpetuate the moral wrongs that they have instigated. In Nazi Germany, there was one to condition the soldiers that the Jews really deserved to be exterminated (to force them to view the Jews as evil and as vermin), and another to condition the non-Jewish population that the Jews required deportation (to force them to suppress all questions about the fate of the Jews). See J. Budziszewski, Written on the Heart: The Case for Natural Law (Downers Grove, IL: InterVarsity Press, 1997), 156; and What We Can’t Not Know: A Guide (Dallas: Spence Publishing, 2003), 192–97. 15. For the use of these conventions in the post-World War II tribunals and “The Crystallization of the Principles of International Criminal Law,” see Encyclopaedia Judaica, 1972 ed., s.v. “War Crimes Trials.” See also Gideon Hausner, Justice in Jerusalem (New York: Holocaust Library, 1966); Adalbert Rückerl, The Investigation of Nazi Crimes, 1945–1978: A Documentation, trans. Derek Rutter (Hamden, CT: Archon Books, 1980); and Bradley F. Smith, Reaching Judgment at Nuremberg (New York: New American Library, 1977). 16. For background on these conventions, see Percy Bordwell, The Law of War between Belligerents: A History and Commentary (Chicago: Callaghan and Co., 1908). 17. Robert G. Clouse, ed., War: Four Christian Views (Downers Grove, IL: InterVarsity Press, 1981), 23. See also Bordwell, 28–49. 18. Grotius, Prolegommena, par. 28; quoted in Bordwell, 30–31. 19. See C. S. Lewis, Mere Christianity (New York: HarperCollins, 2001), 17–39 (this section originally published as The Case for Christianity in 1942); C. S. Lewis, The Abolition of Man (New York: HarperCollins, 2001, originally published in 1944); and J. Budziszewski, Written on the Heart. 20. See Norman L. Geisler and Frank Turek, I Don’t Have Enough Faith to Be an Atheist (Wheaton: Crossway Books, 2004), 169–93. 21. Carey Kinsolving, “For Christian Apologist, God Speaks in the Voice of Reason,” The Washington Post, July 3, 1993, Metro Section, B7. See also Norman L. Geisler, The Roots of Evil (Eugene, OR: Wipf and Stock, 1978). 22. Geisler and Turek, Legislating Morality, 20, 63–64. See also Geisler and Turek, I Don’t Have Enough Faith to Be an Atheist, 176. 24. Rubenstein, After Auschwitz, 20. 25. Paul Johnson, Modern Times: The World from the Twenties to the Nineties (New York: HarperCollins, 1992), 296. 27. Paul Johnson, The Quotable Paul Johnson: A Compilation of His Wit, Wisdom and Satire, ed. George J. Marlin, Richard P. Rabatin, and Heather Richardson Higgins (New York: The Noonday Press, 1994), 20. 28. For an overview of approaches to ethics, see Norman L. Geisler, Options in Contemporary Christian Ethics (Grand Rapids: Baker Book House, 1981). 29. See John M. Frame, Apologetics to the Glory of God (Phillipsburg, NJ: Presbyterian and Reformed Publishing, 1994). http://www.equip.org/articles/holocaust-apologetics, from where it is republished by permission. It first appeared in the Christian Research Journal, volume 28, number 4 (2005). For further information or to subscribe to the Christian Research Journal, go to: http://www.equip.org.